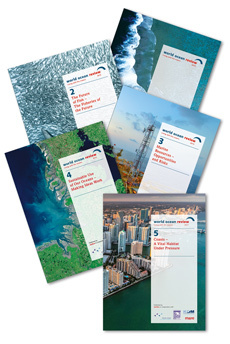 > The first World Ocean Review aimed to provide a comprehensive overview of the state of our oceans. This second volume concentrates in greater detail on a single aspect – the future of fish and fisheries. Fish and people have been intimately linked for thousands of years. Fish is a vital food, it is the subject of myth, and in some cultures – and in Christianity – it is even a divine symbol. However, we humans are not treating this precious ocean resource with the care it needs. Never before have we exploited the world’s fish stocks as rapaciously as during the past 50 years – reason enough for us to devote this volume entirely to the issue. The first World Ocean Review aimed to provide a comprehensive overview of the state of our oceans. This second issue concentrates in greater detail on a single aspect – the future of fish and fisheries. Fish and people have been intimately linked with each other for thousands of years. Fish is an important food, it is the subject of myth, while in some cultures – and in Christianity – it is considered a divine symbol. However, we humans are not treating this precious ocean resource with the care it needs. Never before have we exploited the world’s fish stocks as rapaciously as during the past 50 years – reason enough for us to devote this volume entirely to the issue. Fish are a widely distributed resource. Around the world there is a total of about 30,000 different species, of which approximately 15,000 live in the sea. They are a crucial element of the various marine habitats. Fish and all other living organisms in the sea are linked through complex food webs. Humans, through their fishing practices, are tampering with this network of relationships. If large numbers of any one fish species are removed, there are also repercussions for the other organisms which depend on this species. Slowly we are beginning to understand how severely fisheries have impacted on the massive ocean system and what changes we have already inflicted on marine environments. Specialists already know that in future it will not be enough to consider commercially-interesting fish species in isolation. For this reason many experts are developing new fisheries management concepts based on the entire ecosystem, which will allow for the interactions between the different species. Fortunately many nations are now working together to protect jointly-exploited stocks or “Large Marine Ecosystems” – such as along the coast of southwest Africa. Sustainable fisheries which conserve stocks are of particular importance to the developing countries. Along coastal areas, fishing represents the main occupation and fish are the most important source of animal protein. In nations such as Bangladesh and Ghana fish accounts for more than 50 per cent of the animal protein in the population’s diet. Even today non-industrial fishing from small craft often predominates in the developing countries. The number of such artisanal fishermen worldwide is estimated at about 12 million. In contrast the industrialized nations now fish with modern vessels. The largest of these, known as factory ships, can take vast amounts of fish from the sea. The fish are immediately processed, packaged and deep-frozen on board. Only about 500,000 people worldwide work in the industrial fishing industry. The amount they catch per person is many times that caught in the nets of artisanal fishermen. Factory ships with deep-freeze facilities on board make it possible to fish in any ocean, no matter how far from the coast. The fish no longer spoils as it used to do on long voyages. Since the 1960s, therefore, we humans have been able to exploit global fish stocks at will, far beyond their tipping points. The outcome is that today, according to Food and Agriculture Organization of the United Nations (FAO) data, more than a quarter of fish stocks are overfished. Since 1950 the amount of the annual fish catch worldwide has increased fivefold. In 2011 alone, 78.9 million tonnes of fish and seafood were harvested from the sea. In order to catch such large amounts over a period of many years, the fisheries have spread further and further south from the traditional grounds of the North- ern Hemisphere to take in all maritime regions. Once the stocks had been exploited, the fleets moved on to new fishing grounds. Overfished species were replaced by other lesser-known and scarcely-exploited species. Fisheries have also penetrated into ever-deeper waters. Today the nets of some trawlers extend to depths of 2000 metres, partially or completely destroying important underwater regions such as cold-water coral reefs and habitats at seamounts.